This is a great shirt. In reference to the other review of this item about the Phish logo being barely visible - that's why it's called a Stealth Henley, which is part of their line where the Phish logo is NOT loudly displayed. The point is for it to be hidden and not loud. 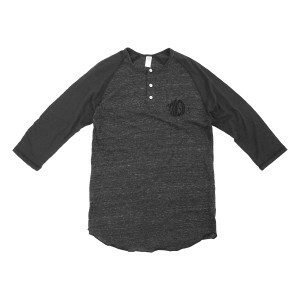 This is a review for the 3/4 sleeve raglan Henley. The material is super soft and the fit is good. I gave it two stars because the Phish logo is barely visible. It does not contrast or stand out at all. Wearing the shirt, you can't tell it's an actual Phish logo...it appears as kind of a slightly darker blotch. The shirt was washed/dried once according to guidelines before wearing. I love the style, but I'd have a tough time recommending this if you're looking to proudly display your love of the Phish from Vermont.